Founded in 1994, Gordon & Polscer, L.L.C. represents insurers and corporate and business clients in complex civil disputes and litigation. Headquartered in the Pacific Northwest cities of Portland, Oregon and Seattle, Washington, our attorneys practice throughout the western United States. We strive to provide high quality, creative, efficient advice and representation to our clients. We are result-driven, not process-driven. Our attorneys are respected and ethical advocates for the many clients we are privileged and proud to serve. Provide excellent, responsive and reliable representation. Collaborate with our colleagues and clients to achieve creative, effective and efficient solutions to complex problems. Gordon & Polscer has a strong commitment to diversity in the practice of law. By embracing a work environment that encourages us to respect and value differences, we are better able to serve our clients with the highest ethical and professional standards. We are proud members of the National Association of Minority & Women Owned Law Firms (NAMWOLF), National Association of Women Lawyers (NAWL) and Women's Business Enterprise National Council (WBENC). In addition to positive feedback from our clients, we value and appreciate recognition from our peers. Local and national recognition of the high quality of legal representation we provide reinforces our continuing dedication to our clients. Gordon & Polscer is a proud member of the International Network of Boutique Law Firms (INBLF). Diane Polscer is the current Oregon Chapter president. Gordon & Polscer is proud to be a member of The National Association of Minority and Women Owned Law Firms (NAMWOLF). Gordon & Polscer is proud to be certified by the Women's Business Enterprise National Counsel (WBENC) as a woman-owned law firm. Diane Polscer has been selected for inclusion in Super Lawyers since 2006. In addition, Greg Baird of the Portland office has been selected as a Super Lawyer since 2015. Ryan Hesselgesser has been selected as Rising Stars in Washington since 2015 and Robert Kirsher has been selected as a Rising Star in Oregon since 2016. Gordon & Polscer, L.L.C. is proud to have received a Tier 1 Law Firm Ranking for Portland, Oregon in the practice of Insurance Law for 2018. Diane Polscer is a proud member of the FDCC. 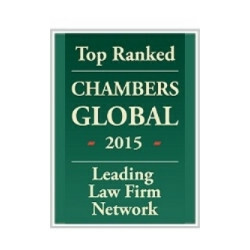 Gordon & Polscer is a top-ranked Chambers Global Leading Law Firm for 2015. Gordon & Polscer, L.L.C. is a proud member of The Harmonie Group. Gordon & Polscer, L.L.C. is a proud member of CLM. Diane Polscer is a proud member of the LCA.